propel your game to the next level. field shoots later this year. than 2 arrows per target. Please don't litter, no one wants to see trash in the woods. If you take it in... take it out. nor shall anyone shoot any live animal or bird for sport or target practice. they are the last person to leave the facilities, regardless of the time of day. target face without permission from the Range officer or other club officer. North Florida Archers (NFA) is a non-profit organization whose sole purpose is to provide an opportunity for the citizens of North Florida to participate in the sport of archery. Directed by members in good standing, the club provides facilities for both traditional and compound archers. Sorry no crossbows allowed! 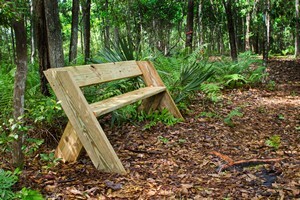 The facility is located on approximately 45 beautifully wooded acres within the Tillie K. Fowler Regional Park. The facility features a covered target range with targets at varying distances up to 70 yards with room for targets to 100 yards. 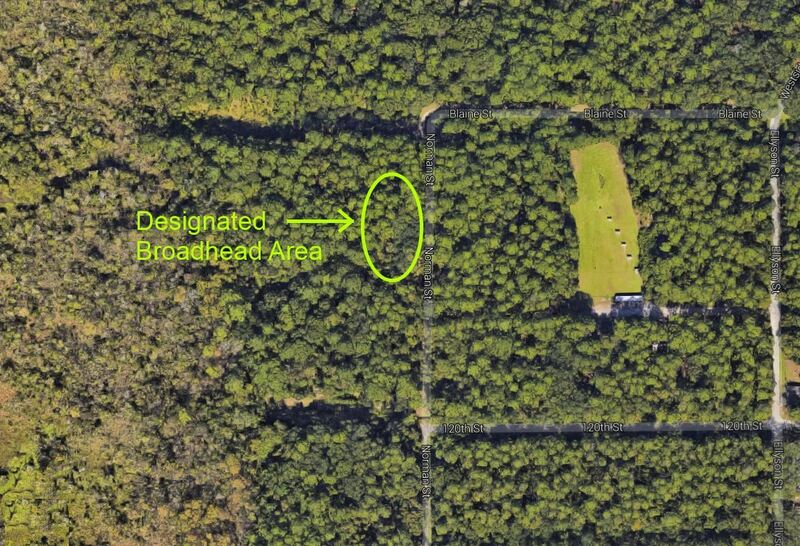 It also has wooded shooting trails throughout the property, which feature multiple 3D targets. NFA facilities are open from 7:00 a.m. until dark seven days a week. Access to the facility is controlled so that members can come and go at their leisure. Boy Scouts, Girl Scouts and other youth groups are welcome to visit and try their hand at the sport. Coaching is offered in the finer points of archery while emphasizing the aspects of safety. NFA has a very low membership fee for individuals and families. Membership dues are used for facility maintenance. Club meetings are held at 6 p.m., the first Wednesday of the month (unless holidays or special events conflict), to discuss club issues and to welcome new members. All meetings are held at the club pavilion. The club is entirely managed by its members. Members are encouraged to volunteer for special workdays and to help with the preparations for the monthly shoots. The US Navy, in support of the Morale Welfare and Recreation for government personnel, established North Florida Archers in 1988. In 1990 the facility was turned over to civilians for management and control. Approximately 2001 the facility became part of the city of Jacksonville park system. The property includes historical elements, including a section of the “Old Brick Road” which is a part of the history of the Jacksonville area. 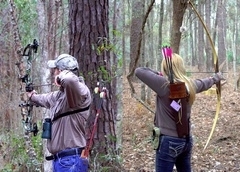 North Florida Archers (NFA) is located within the Tillie K. Fowler Park, 7000 Roosevelt Ave, Jacksonville, Florida. Access to the club is across the road from the Yorktown Ave. gate of the Naval Air Station-Jacksonville (NAS-JAX). See the LOCATION page for area maps, directions and further details.